Today, there are various types of materials for garage floors. You can get the standard epoxy coating, or opt for snap-together plastic tile and rollout mats. However, if you are looking for a fast-curing material that promises lasting performance and ease of maintenance, then you should take a look at advanced options such as polyurea and polyaspartic coatings. What Are Polyurea and Polyaspartic Coatings? Polyurea is basically a subgroup of polyurethane. Similar to traditional epoxy, it is a two-part material—a mix of resin and a catalyst that hardens the material upon curing. However, it is different from epoxy due to its elastomeric nature. Polyaspartic coating, on the other hand, is a type of aliphatic polyurea. It cures a bit slower than polyurea, allowing for a more traditional application with the advanced benefits of polyurea. Fast curing, which makes one day garage floors application possible. 100% UV-resistance that ensures the coatings won’t turn yellow or change color over time. A crystal clear finish that adds style to the garage. The finish won’t fade or blush due to moisture. High heat tolerance, so friction and burnouts are non-issues. Flexible, allowing for necessary expansion and contraction. Have adhesion qualities that are better than those of other substrates. Damage to the coating can easily be fixed. Total replacement or recoating will not be necessary. The owner can dictate just how thick they’d like the coating to be. Comes in different textures–from smooth to orange peel–which one can select according to the intended function. To make sure that you get all the benefits mentioned above, work with a professional that specializes in polyurea and polyaspartic garage coatings. Want the best product for garage floors for residential or commercial application? 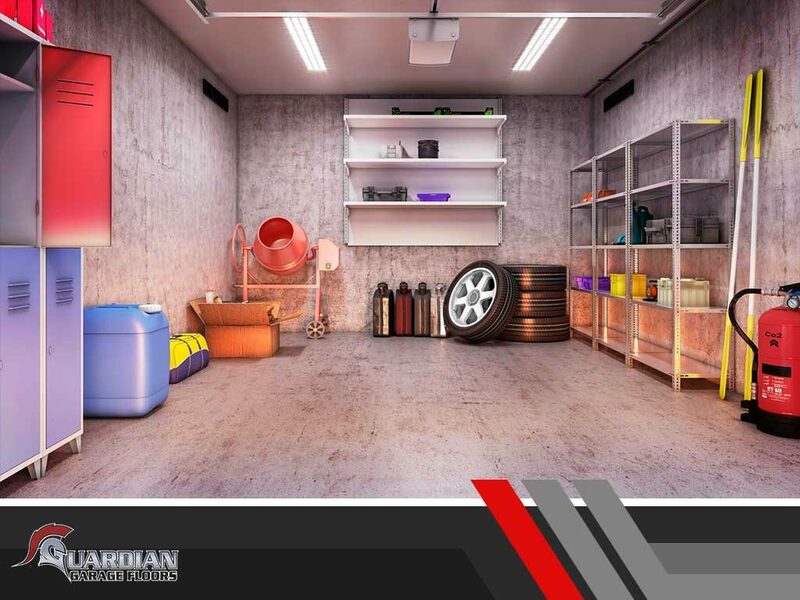 Contact Guardian Garage today! Call us at (615) 984-4926 to schedule a consultation and learn more about polyurea and polyaspartic floor coatings. We serve clients in and around Marietta, GA. This entry was posted in garage floors and tagged benefits, floor coatings, polyurea and polyaspartic.